The i-THRIVE Partnership Board holds strategic oversight of the i-THRIVE Programme. We are very pleased to have leading experts in child mental health from the Anna Freud National Centre for Children and Families, the Tavistock and Portman NHS Foundation Trust, the Dartmouth Institute for Health Policy and Clinical Practice and UCLPartners represented on the board. Paul Jenkins is the Chief Executive of the Tavistock and Portman NHS Foundation Trust, a specialist mental health trust focused on psychological, social and developmental approaches to understanding and treating emotional disturbance and mental ill health, and to promoting mental health. Paul was previously the Chief Executive of Rethink Mental Illness, a leading national mental health membership charity working to help those affected by severe mental illness. He has an MBA from Manchester Business School and has over 20 years of experience in management and policy-making in central government and the NHS. He has been involved in the implementation of a number of major national government initiatives and was awarded an Order of the British Empire (OBE) in 2002 for his role in setting up NHS Direct. 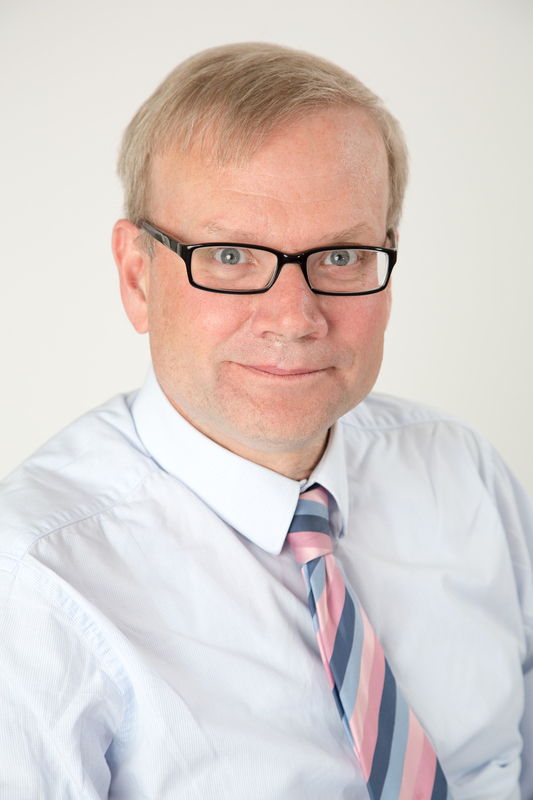 Paul is a member of the Board of the NHS Confederation’s Mental Health Network. 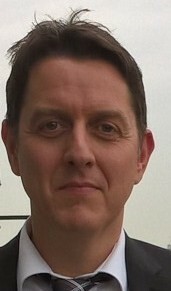 Peter is currently: Head of the Research Department of Clinical, Educational and Health Psychology at University College London; Chief Executive of the Anna Freud National Centre for Children and Families, London; Consultant to the Child and Family Programme at the Menninger Department of Psychiatry and Behavioural Sciences at Baylor College of Medicine; and holds visiting professorships at Yale and Harvard Medical Schools. He is Programme Director of the UCLPartners Integrated Mental Health programme and a member of the UCLPartners Academic Board, National Clinical Lead of the Department of Health/NHS England Children and Young People’s Improving Access to Psychological Therapies (CYP IAPT) programme, and a member of the Programme Board for IAPT. He is leader of the Mental Health theme in the North Thames CLAHRC and a Senior Investigator for the National Institute of Health Research. He has occupied a number of key national leadership positions including Chair of the Outcomes Measurement Reference Group at the Department of Health, Chair of two NICE Guideline Development Groups, and Chair of the Strategy Group for National Occupational Standards for Psychological Therapies. His clinical interests centre on issues of early attachment relationships, social cognition, borderline personality disorder and violence. A major focus of Professor Fonagy’s contribution has been an innovative research-based dynamic therapeutic approach, called Mentalization-Based Treatment, which was developed in collaboration with a number of clinical sites both in this country and in the US. He is currently Principal Investigator (PI) or Co-PI on research grants worth in excess of £15 million. He has published over 400 scientific papers, 250 chapters and has authored or co-authored 17 books. He is a Fellow of the British Academy, the Academy of Medical Sciences, and the American Association for Psychological Science, and was elected to Honorary Fellowship by the American College of Psychiatrists. 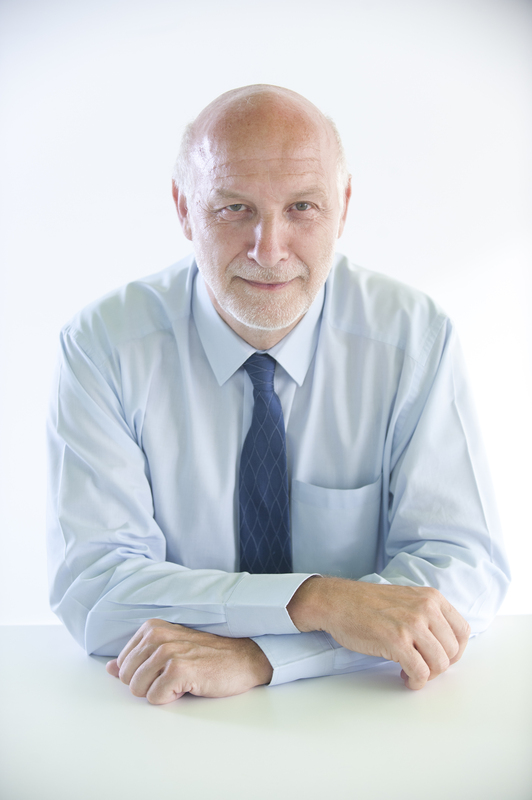 He has received Lifetime Achievement Awards from several national and international professional associations including the British Psychological Society and the World Association for Infant Mental Health. A clinical psychologist by background, Miranda is committed to developing and disseminating the evidence base in relation to child mental health service provision. She is Director of the Innovation, Evaluation and Dissemination programme at the Anna Freud National Centre for Children and Families. 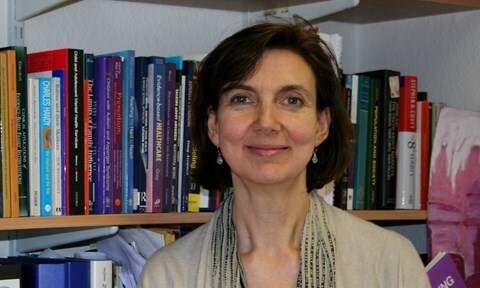 She is also Professor of Evidence Based Practice at UCL, and Director of the Evidence Based Practice Unit (EBPU); a service development and academic unit across UCL and the Anna Freud National Centre for Children and Families, which works to bridge evidence and practice in child mental health. Miranda is Founder and Director of the Child Outcomes Research Consortium (CORC), the UK’s leading membership organisation that collects and uses evidence to improve children and young people’s mental health and wellbeing. Members include mental health service providers, schools, professional bodies and research institutions from across Europe and beyond. Miranda leads grant-funded studies by the Department of Health, Department of Education and others that focus on implementation science. 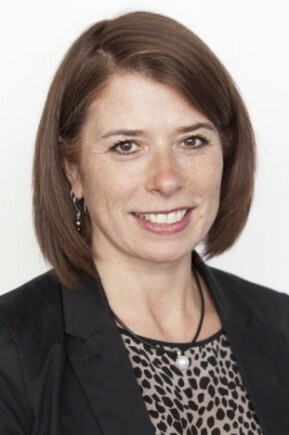 She is committed to understanding how best to support and evaluate effective service delivery to promote resilience and meet children and young people’s mental health needs, and is recognised for her contribution to the development of outcomes-based approaches to help ensure patient voice is at the heart of clinical practice and service commissioning. Miranda has co-led the development of models of payment systems for child mental health provision, and led the development of a proposed new framework for service conceptualisation: the THRIVE model. In her other roles, Miranda is National Informatics Lead for Children and Young People’s Improving Access to Psychological Therapies (CYP IAPT) with NHS England, Consultant Clinical Psychologist at Camden and Islington NHS Foundation Trust, and Children and Young People Mental Health Clinical Pathway Lead at UCL Partners. Al Mulley is Professor of Medicine and of Health Policy and Clinical Practice and founding Director of the Center for Health Care Delivery Science at Dartmouth. 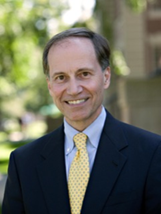 Before assuming his current role at Dartmouth, Al served on the faculty at Harvard and Massachusetts General Hospital where he was founding Chief of General Medicine with responsibility for research, education and training, and design and implementation of new care models. His research has focused on practice variation, the quality of medical decision making, and implications for commissioning of services. He has published more than 100 research articles and commentaries as well as Primary Care Medicine, the earliest textbook of its kind now in its 7th edition. Professor Mulley was an originator of “shared decision making” and other approaches to co-production of value in health care and, together with colleagues in the US and UK, developed and brought to scale measures and tools to support their implementation. He received his undergraduate degree from Dartmouth and degrees in medicine and public policy from Harvard. In 2011, he served as the first International Visiting Fellow at the King’s Fund and was appointed to The Health Foundation’s Improvement Science Development Group. He also serves as an Adjunct Professor at the Tsinghua Institute for Hospital Research Management and Advisor to the Chinese Hospital Association. In 2015, he was appointed visiting professor at UCL. He is a member of the National Academy of Medicine of the National Academy of Sciences. Hilary Ross is Director of Strategic Development at UCLPartners. She joined UCLPartners following a major role in London 2012 as NHS London’s Programme Director, leading the NHS preparations for the Olympic and Paralympic Games. She holds a Masters in Public Health from Brighton and Sussex Medical School. Hilary has experience of senior health-related roles at a local, regional and national level including within local government and the Department of Health. Rachel is the Programme and Clinical Lead for the national i-THRIVE Programme and is responsible for supporting the national implementation of THRIVE. Rachel leads on the i-THRIVE Academy. Rachel is a Consultant Clinical Psychologist and has over 25 years’ experience working with children, young people and their families across the health, social care, education and voluntary sectors, and she has led community, specialist and multi-agency child and adolescent mental health teams. She is currently an Associate Clinical Director at the Tavistock and Portman NHS Foundation Trust. Trained in the scientist-practitioner model, Rachel is committed to developing and delivering and high-quality services that are evidence-informed, prevent and promote mental health and well-being, and empower children, young people and their families to be actively involved in decisions about their care through shared decision making. Rachel actively promotes and encourages shared decision making to ensure collaborative practice with children, young people and their parents or carers. Rachel is currently a UCLPartners Improvement Fellow and is particularly interested in developing ways to embedded quality improvement within everyday practice to effect meaningful and sustainable change across systems. Anna is a Specialist Registrar in Child & Adolescent Psychiatry at Cambridge, and Lead for the i-THRIVE Evaluation. Anna is currently an NHS Innovation Accelerator Fellow and is leading evaluation of the implementation and diffusion of i-THRIVE nationally. She is completing a PhD in Implementation and Improvement Science at UCL, supervised by Prof. Peter Fonagy, which has focussed on how to effectively re-organise mental health crisis care pathways. Anna is also a psychiatrist working in Tier 4 CAMHS services in Cambridge. Prior to this, Anna was Director of Mental Health at UCLPartners alongside Peter Fonagy. A core part of this work has been fostering an environment for partnership working and supporting members, who constitute a range of independent organisations including Provider Trusts, Commissioners, Local Authority and SMEs, to work together to improve mental health outcomes. This has included developing measurement and performance systems, developing and delivering large scale education and development programmes, developing and leading large scale multi-locality improvement programmes, developing informatics products and services to support system improvement, evaluation and implementation of innovations that demonstrate improved outcomes, as well as fostering environments for shared learning and building capacity for implementation. Prior to this, Anna was the NHS Medical Director’s National Clinical Fellow to Professor Sir Bruce Keogh, working as part of the NHS Outcome Framework team developing a performance system for measuring the NHS’s collective progress towards delivering a set of outcomes. Prior to Medicine, Anna was a chartered accountant and also spent 18 months of her Neuroscience degree at Harvard, working on Neurotransplantation and Stem cell research for neurodegenerative disease, for which she received first class honours. Qualifying from University College London over 20 years ago, Paul has worked as a Clinical Psychologist, across a range of community and specialist CAMHS settings. For the past 8 and a half years he has been Director of Psychological Services for CAMHS in Manchester and Salford. Paul is also a Clinical Advisor with the Greater Manchester (GM) and East Cheshire Strategic Clinical Network, and GM lead for the roll-out of GM i-THRIVE and developing the CAMHS workforce. Paul has been involved in a range of CAMHS innovations in research and service development, including as past-chair of the BPS National Faculty for Child Clinical Psychologists, and contributing to regional and national developments in CYP-IAPT and i-THRIVE. 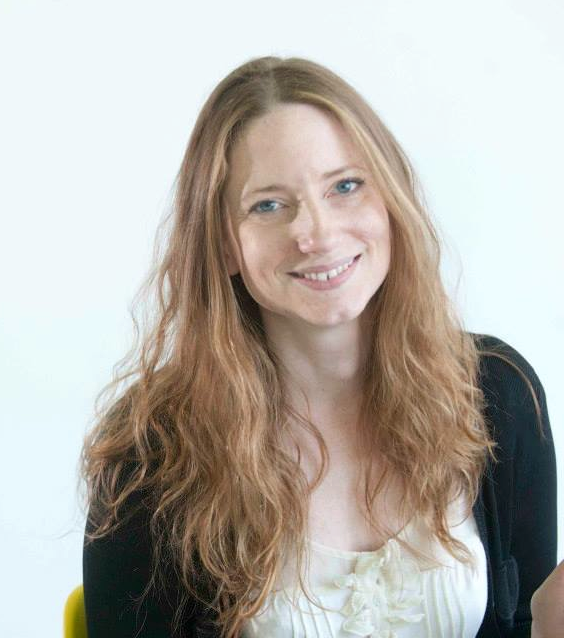 Sarah Brennan joined YoungMinds in 2008 as CEO. Sarah has over 30 years experience of working with vulnerable young people and championing their causes. With training and qualifications in youth and community work, counselling, organisation behaviour and social policy she has applied her learning in delivering direct services as a teacher, youth worker and Director of Services for Centrepoint, the charity for homeless young people; Chief Executive of Motiv8 – diverting young people from offending, and now YoungMinds as well as extensive policy and practice development and advice. YoungMinds is a UK wide organisation advising parents, local services and government departments about the needs and solutions to the rising concerns for children and young people’s mental health. She has led the organisation’s support for schools and local ‘joined up systems’ approach through our BOND project and recently Headstart as well as our consultancy work. Sarah worked closely with Department for Education and their network of Headteachers in helping schools respond effectively to the behaviour and emotional needs within their schools via BOND and more recently through our Academic Resilience approach.